Details of Carrie Everson’s life are sparse and often inaccurately reported. Born in Sharon, Massachusetts, Carrie (family name unknown) graduated from high school and teacher training college. 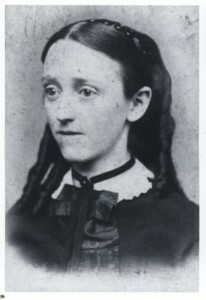 Later she married a Dr. Everson, who shared with her his knowledge of medicine and chemistry. When the family moved west to pursue mining ventures in the gold and silver fields of Colorado and California, she applied what she knew to mineralogy. Everson improved upon the then ­current method of separating ore from the surrounding rock matrix, the rock material in which ore is embedded. In 1885 she found that the addition of acid to the oil and water used to extract metals from pulverized rocks produced far more effective results than oil and water alone. What she had done manually, crushing and treating four ounces of ore at a time, would have to be done on a large scale with heavy machinery. Recognizing that her procedure required expensive, specialized equipment, Everson concentrated at first on the more valuable metals such as silver, gold, and copper, so that the investment in making the machinery would pay off. Everson was awarded a patent in 1886 for this oil flotation process and she was given two more patents (with Charles Hebron) in 1892 for further refinements in the process, including a dry flotation technique. Everson was never able to gain stable financial backing for her inventions. After several failed attempts, she turned to nursing to support herself and her family. Ironically, during the time she patented these processes, ore was plentiful, so most people could not see a need for Everson’s work. It was when the lodes began to dwindle that her methods of extraction became a boon to prospectors. This new found interest in the oil flotation process led to a search for its inventor; a newspaper tracked down Everson’s son, who was able to identify his mother as the inventor of the method. But by the time her process came into wide use, Everson’s patent had run out and she received no money. She died in California in 1913, two years before the search for her began. Everson’s oil flotation and acid wash processes helped thousands of miners reap extra ore (and wealth) from the rock surrounding the valuable ore. Without this invention, untold amounts of gold and silver would have remained in the matrix. During her lifetime the process was not widely used in the United States. The frenzied searching of the American gold rush days was for mother lodes. Little interest was paid to the smaller amounts of ore laced throughout the rocks. Only as the major veins became smaller (following successive exploitation) and the mines less productive did Everson’s technique gain wide use. However, the concentration of ores through the use of petroleum distillation residues and acid wash was used in DeBeers diamond mines in South Africa by 1900. To be commercially viable, Everson’s processes for concentrating valuable ores had to be applied to tons of crushed rock. Her methods were known by mining engineers who experimented and applied them. There was a big problem: extracting the metal­bearing mineral from the thick oil used to attract and float desirable ore while leaving the rest of the material to settle out. The problem was solved by using a specialized large­scale centrifuge. By the time the search was made for the process’s obscure inventor, concentration of ores by selective action of oil and acid on certain minerals was standard procedure in mining operations around the world.